Anakin ogling the dancing girls while Obi-Wan tries to look anywhere else. Amazing. So let me take this moment to be clear: both these episodes are so silly that even the writers get confused. 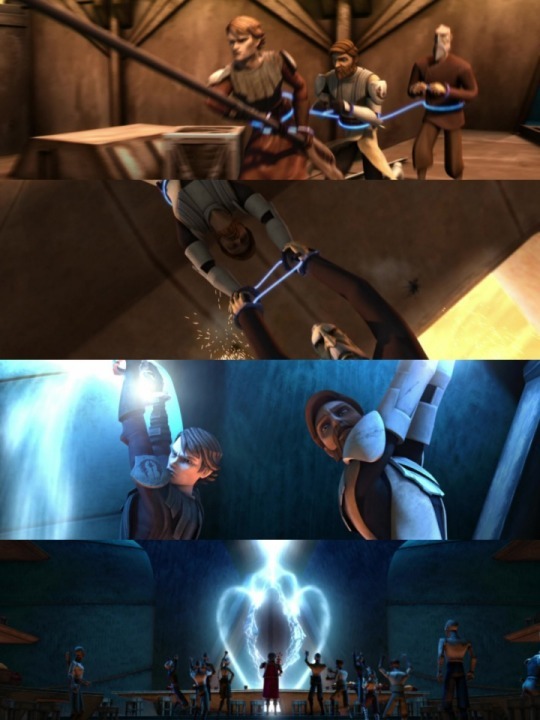 In addition to the plot inconsistency mentioned above, lightsabers appear and disappear at least 3 times (and this despite Anakin’s lightsaber changing hands being a actual plot point). But I laughed aloud multiple times. I will never get tired of Anakin and Obi-Wan bickering, Jar-Jar’s ridiculous subplot is hilarious (and touching? 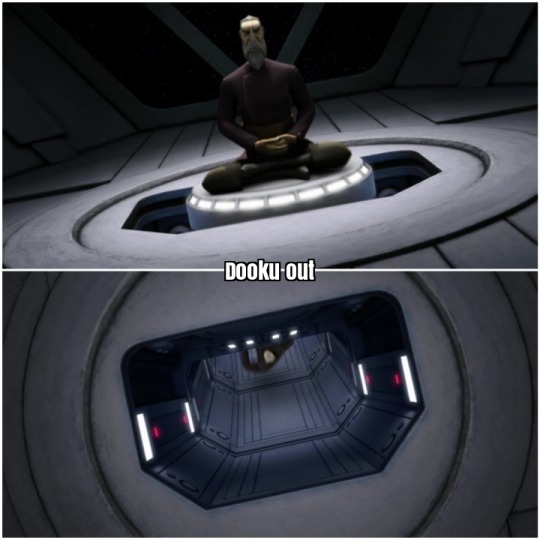 ), and the episode pokes fun of Dooku’s penchant for deadpan proclamations while simultaneously spotlighting them. It’s fun. They get out of the cell but are recaptured in the corridor. The BOOM knocks out the power in the main encampment allowing Anakin and Obi-Wan, and Count Dooku, to escape.